Your business depends on you to deliver mission critical services. 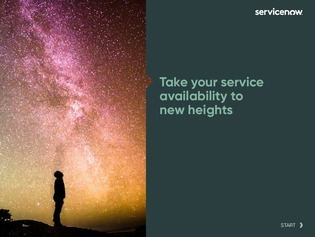 However, if you’re like many IT organizations, you’re losing sleep over service availability. There’s just too much disconnected infrastructure monitoring information, and there is no clear view of business service health. As a result, service outages take too long to fix, and many potential service issues go undetected. Download this eBook and learn how to take back control with service-aware event management. See the health of all of your business services at a glance—and instantly get to the root cause of service issues. No more war room finger pointing, just rock-solid service availability.